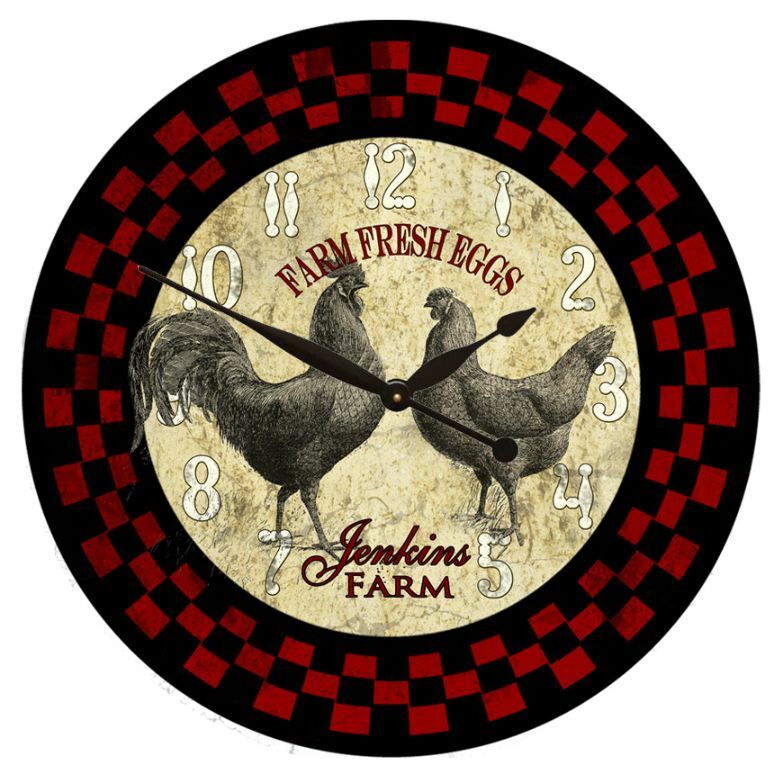 This Rooster Wall Clock has a decorative style with it's red and black checked rim perfect in your kitchen or dining area is made in the USA and made when ordered. This red and black Rooster clock is handmade in the USA and runs on a Quiet movement, one AA battery required, not included. Please allow 4-10 full business days before shipping as this clock is made when ordered.